With the new functional range "Interior+", LEICHT is once again presenting a unique product development from its own design studio. A fundamentally new idea, lightweight to look at and easy to use - "Interior+" is a completely new organisational concept for unit interiors. 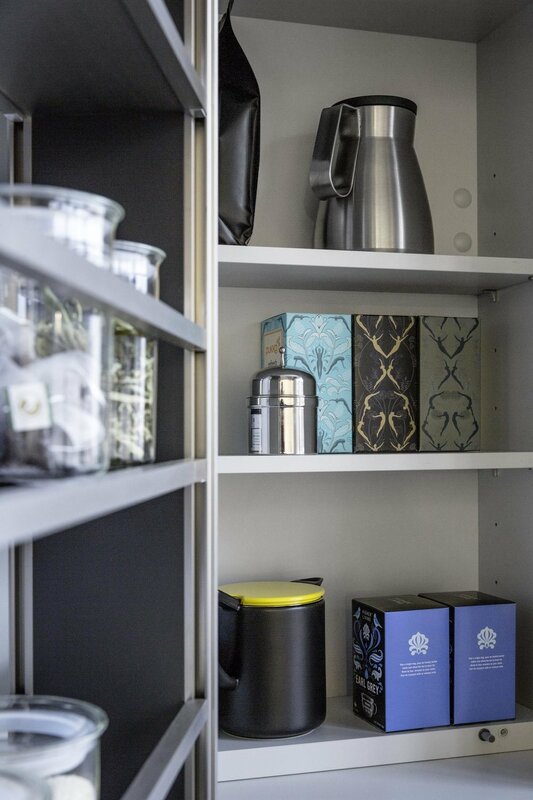 The new range for tall units and wall units ensures trade customers exclusivity on the market as well as furnishing them with new, surprising design possibilities. There are two variants available for tall units. Both are based on the use of a 15-cm wide, warp-resistant frame. The pullout version is perfect for use in 30 to 45-cm wide tall units. The entire unit-high framework, equipped with organisational elements, can be pushed into/pulled out of the unit like a storage pullout. Tall units 50 or 60 cm wide are divided into two in terms of depth. 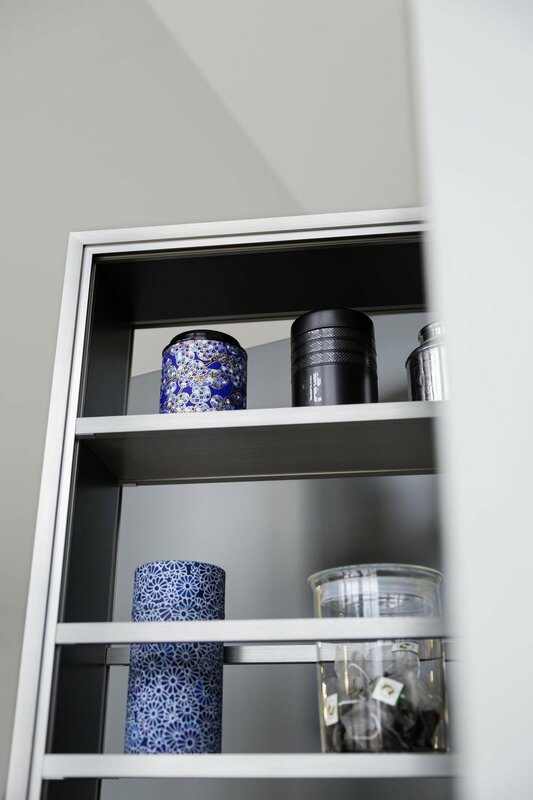 Directly behind the door, there is the horizontal aluminium frame that can feature continuously adjustable shelves with rails or premium container boxes to suit the user’s requirements. 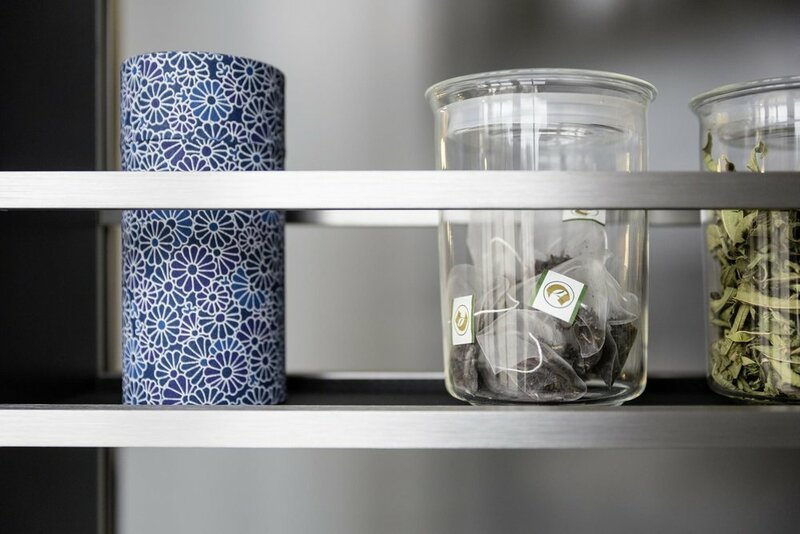 This shelf system, attached on the hinged side, can be completely swivelled out. This makes it accessible from two sides and at the same time opens up access to the unit area behind featuring further shelves.